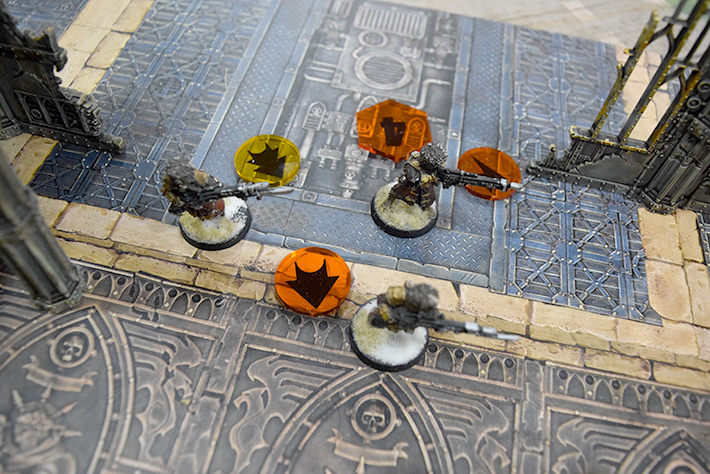 If you're playing Kill Team and want to mark things with something other than a dice, then Bandua Wargames has been working on some Command Force Tokens which can be used during your games. There are three different colours for you to pick from with Yellow, Blue and Orange being rather snazzy options for players. I think they fit the Sci-Fi aesthetic and that orange theme that Kill Team has been going with on all of its marketing. 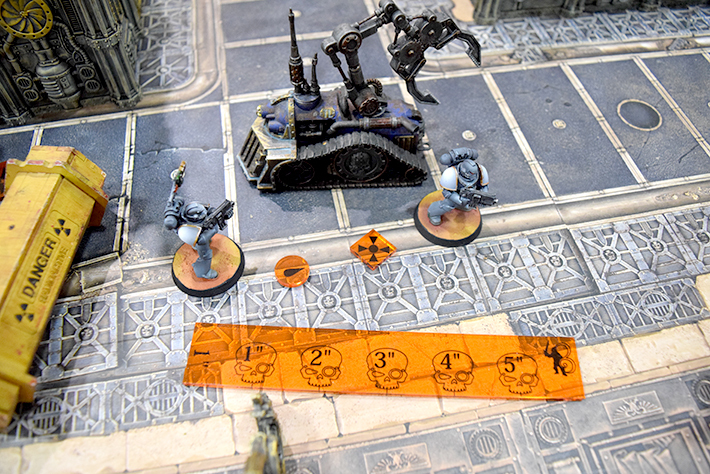 ...which can be used to make sure everyone is on top of their bookkeeping during games of Kill Team. 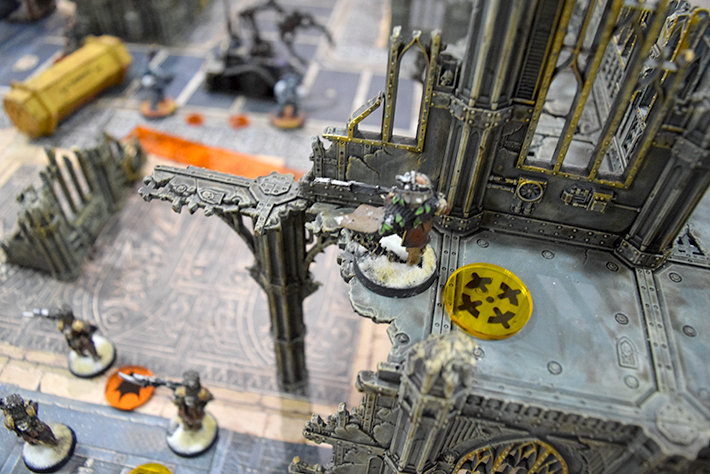 Whilst I'm usually loathed to use a lot of tokens in games as I feel like they can tend to break the immersion, I think that they are needed in many games. With that in mind, the style of these from Bandua does work to almost give you that 'vid-screen' style to your tabletops, as if you're watching this all play out from a monitor somewhere. Considering the number of people playing Kill Team I could see these being very popular. It's always nice to be able to add some bling to games that you enjoy, and this would be functional bling so it's even better! "...this would be functional bling so it's even better!" Can be Handy to have spare markers.